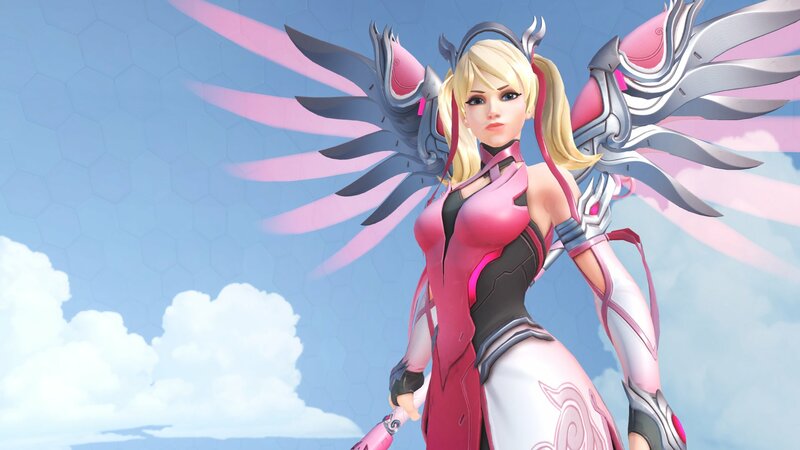 Blizzard recently released a skin for Overwatch's angelic healer Mercy to benefit the Breast Cancer Research Foundation (available until May 21), and the wording on the PSN specifically tripped up a few people. While on the PC and Xbox the wording is clear that all of the money goes to the foundation, on PSN the phrase "Blizzard Entertainment will donate 100% of the proceeds that it receives from Sony PlayStation," wasn't so crystal. To clarify the whole situation Sony has issued a statement, noting simply "We are not making any profit from sales of the Overwatch Pink Mercy Skin." We've reached out to both Sony and Blizzard for more clarification on how this process all works, essentially going through three companies to get the money where it needs to be. As a reminder at the very end of the drive Blizzard will tell everyone how much the campaign raised.